When starting a business, determining what business structure or form will be used is critical. There is no one choice suitable for all businesses and you can change the form of a business if necessary, although that can be complex depending on the circumstances. Deciding on a proper form for your business requires counseling by an attorney and a certified public accountant. These professionals can weigh the reasons for and consequences of choosing one form over another –the risks and benefits– and make informed recommendations to guide the business’s owners. You also need to be aware of possible statutory, regulatory and licensing requirements for the kind of business you are contemplating. For example, sometimes a state’s regulations may permit licensing of a corporation but be silent as to limited liability companies, with the result that the bureaucracy will decline to license the latter form. For virtually every state, there are a variety of resources available to inform you and we help our clients help themselves by identifying these. For example, in Maryland the Comptroller and the Department of Assessments & Taxation, among others, host useful sites. Treatises have been devoted to the considerations that should be taken into account, and the ever-changing law also differs from state to state as to what forms of business are recognized and how different forms are treated for different purposes. The purpose of this note is to identify the range of business forms available and to offer a short description of each form. Due to the ever-changing applicable law and the differences between the laws of different states, this note should not be relied upon in the absence of professional advice as the basis for selecting a business form. Anyone can form a corporation using web resources, but in the absence of professional advice about the right form for you this is about as dangerous as driving a car after reading a book on driving. What business forms are available will depend largely on state law. Moreover, the prerequisites to different forms vary from state to state. For example, some states require limited liability companies to be owned by at least two people, while others allow such companies to be owned by a single individual. Likewise, many states, including Maryland, specifically provide for “Close Corporations,” but many others (for example, the District of Columbia) do not. Similarly, many states (and the District of Columbia) do not allow corporations to be treated for tax purposes like partnerships (i.e., “Subchapter S corporations) while others (including Maryland) specifically incorporate this federal tax law concept. Generally speaking, sole proprietorships and partnerships are “default” entities; if the owners do not take steps to elect to be something else, their business by law is assumed to be one or the other of these forms. (A classic sole proprietorship is a business owned by an individual. A partnership is a business owned by more than one individual.) Sole proprietorships and partnerships are easy to set up and last no longer than the lives of the owners. Generally speaking, when an owner dies (or leaves) the business must be reorganized. Profits of sole proprietorships are taxed to the owners even if they are plowed back into the business.The Uniform Partnership Act (“UPA”), enacted in slightly varying forms in virtually every state, provides default remedies to govern some matters that may arise within the partnership. However the UPA’s provisions are quite skeletal and an attorney should be consulted by the owners to develop a fuller and more useful set of rules governing their relationship to each other. All the other forms of business must be affirmatively elected. Many forms may exist perpetually, meaning beyond the lives or participation of the owners, though this varies as to some forms from state to state. Though a bit more expensive to form and maintain, tax and liability concerns indicate that such structures are generally to be preferred. As with partnerships, owners should consult legal counsel to develop rules governing their relationship in the ongoing business. If you don’t decide the rules up-front, you will be stuck with general statutory default rules that you have not deliberately crafted for YOUR company and you may not like what you are stuck with. Many factors should be considered in deciding what form a potential business should take on. These factors can broadly be classed into four categories: liability, taxation, management and funding. By “liability” we mean to say who is responsible for the debts of a business. These debts can arise in the ordinary course of the business (for example, cost of inventory, rent, salaries, business loans) or can arise unexpectedly and incidentally to the business (for example, as a result of lawsuits for defective products or injury occurring to customers on the premises). While every business should carry adequate insurance to protect against liabilities, insurance may prove inadequate or may not cover the precise loss experienced, insurance companies can become insolvent, and it is difficult if not impossible to insure against some kinds of debt, such as, for example, debt accumulating when ordinary income does not cover regular expenses. Proprietorships are essentially the business extensions of the individuals who own them. Everything that is property of the owners, from their bank accounts to their houses to their cars, is at risk if the business owes a debt. Because partners generally each have authority to act for the partnership, the action of one partner resulting in a partnership debt makes that debt the debt of every partner. In hybrid organizations owners involved in managing the company or a particular liability-generating activity are personally responsible while those not so involved are protected. For example, the managing or general partner of a limited partnership is as fully liable for the partnership’s debts as would be any partner of a general partnership, while the limited partners in such a partnership are only liable to the extent of their investments in the partnership. Corporate entities, here defined to include limited liability entities, fully insulate owners from entity debt beyond the owner’s investments. This means that a creditor with a million dollar claim against a corporation with assets of ten thousand dollars owned by an individual worth fifty million dollars can collect no more than the corporate asset (ten thousand dollars) from the company. Business entities must pay various kinds of federal and state taxes. Because of the potentially national readership of this note, it would be inefficient to explore the variety of potential state taxes in any detail, but it is appropriate to list the kinds of state taxes that might be due. These include sales taxes, payroll taxes, property taxes, income taxes and annual filing fees. Generally speaking, although this varies by state, proprietorships pay lower or no annual filing fees and pay lower or no property taxes (because the business and the owners are, effectively, identical). Differences in federal taxation of different kinds of entities are uniform across the states and are significant. The starting point for this analysis is income taxes. With the exception of corporations taxed under subchapter C of the Internal Revenue Code is not taxed separately. Unless a corporation affirmatively elects to be treated under subchapter S of the Internal Revenue Code, it is, by default, a “C-Corporation,” subject to separate taxation of its income under the schedules applicable to such corporations. Because C-Corporations are independently taxed, income of C-Corporations paid to shareholders as dividends are, in effect, taxed twice; first the corporation pays income tax on its profit and then, when that income is distributed among the shareholders they pay income tax again. As to all other entities (including subchapter S corporations), income in excess of expenses is allocated among the owners. In some cases, depending on the form of ownership, allocation of income (or losses) may vary and need not be proportionate to ownership interests. These entities are not subject to double taxation. The federal corporate tax rates for the first $75,000 of income are lower than individual tax rates of higher-bracket individuals. (Except for professional corporations, which pay a higher rate.) Consequently, one benefit of the corporate structure generally is lower taxes on first-tier income that might be put back into the business. The other kind of federal taxes virtually every business faces is payroll taxes. Corporations and non-corporate entities all must withhold employee income taxes in accordance with federal schedules and match employee social security and other federal payroll taxes, which must also be withheld. However, unlike shareholder-employees of corporations (who are treated the same as non-shareholder employees for payroll tax and withholding purposes), owner-employees of proprietorships and limited liability entities are deemed to be self-employed for federal payroll tax purposes and withholding from their pay checks is based on a different schedule applicable to self-employed individuals. Finally, among the entities listed at the beginning of this note is the non-profit corporation. Typically such corporations are established for charitable or other social-service purposes, are non-stock entities, qualify for certain treatment under section 501(c)(3) of the Internal Revenue Code and by definition do not make profit and are not taxed on income in excess of expenses. Sole proprietorships are generally managed by the owner and partnerships are normally managed by the partners. How partners participate in this management (one partner/one vote; majority or super-majority, managing committee of partners; spheres of responsibility, etc.) generally is established in the partnership agreement. Limited partnerships are managed by a managing partner; the other partners are passive investors without management responsibility or authority. Limited liability partnerships are generally managed by a managing or general partner. That partner makes the business decisions for the partnership and typically is paid a premium or salary for undertaking that responsibility (and risk, as discussed above). Limited partners may receive dividends and will share in the general profits, usually in proportion to their ownership. In many states the same individual may not hold more than one office or may not hold two particular offices at the same time unless there are fewer shareholders than the required corporate offices under the state’s law. Often this general prohibition may be modified by the corporation’s bylaws, which are the essential rules of governance. The relatively complex multi-tiered structure of the classic corporation proves to be cumbersome for small and closely-held entities. For example, if Mr and Mrs. Smith are the sole owners of a corporation which they effectively run, they must elect themselves to the board of directors, and then, as board members, appoint themselves as officers. If their counsel is careful, they will also enter into a shareholder agreement providing that neither may transfer (by sale, gift, will, or laws of intestate inheritance) their stock to a third party without the other’s consent. To address the needs of owners of such closely held companies, many states have created a simplified corporate form, often called a “closed” or “close” corporation. Typically, though this will vary by state, such entities may dispense with boards of directors and be governed directly by the shareholders, who may not transfer their stock without the consent of the other shareholders. Like a general partnership, [the LLC] is highly flexible and “tailorable,” and it is not (so far) taxable at the entity level. Like a corporation it provides limited liability to its owners. Partnership/corporation hybrids, of course, are nothing new. The limited partnership has been around a long time. The great advantage of the LLC, however, is that its members, unlike limited partners, have no restrictions on their right to participate in control of the business. In addition, there is no need to have a member or other participant that would have unlimited liability similar to that of a general partner of a limited partnership. Similarly, the LLC statutes abandon the corporation statutes’ mandatory hierarchy of shareholders, directors, and officers… In essence, the LLC statutes permit business owners to avoid mandatory intermediary management structures (such as boards of directors) and to run the business directly on any organizational basis they wish. Businesses are typically funded with a combination of capital, meaning contributions to the business by its owners (usually in payment for stock), and debt. There are advantages and disadvantages to each type of funding. For a new business with few shareholders of limited means, taking on debt means that the business will have to pay interest and that the debt (typically) must be repaid at a fixed time. On the other hand, those to whom debt is owed generally (i.e., in the absence of a specific agreement to the contrary and so long as the debt is paid as due) have no control over how the business operates and will not participate in the business’s profits. If the business is very profitable, the debt can be paid off or reduced or renegotiated at a lower interest rate reflecting the business’s soundness, and the owners will enjoy the fruits. Without a track record of success and valuable assets against which a creditor could collect on its debt, business owners should expect that they will be required to guarantee business debt, regardless of the form of the business. Thus the wall against owner liability for business debts can be and often is disregarded when a new company is involved, but the portal through the shield must be explicitly waived by a written guaranty or the like. Selling interests in a new enterprise to fund it likewise has pros and cons. A general offering to the public at large must comply with state and federal blue sky laws, requiring costly specialty counsel to prepare and vet a prospectus. A limited offering, to a few close friends and relatives, provided the number is small enough likely will not involve these laws, but will require full disclosure of all known risks. While there typically may be no obligation that the interests sold must be repurchased at any given time or for any given price, these understandings should be put in writing in the sales documentation. Once interests are sold, the owners of these interests are owners of the enterprise and have certain statutory rights (again depending on state law) to examine the books and records of the enterprise and perhaps to participate in its management. Finally, if the enterprise is very successful, the owners of these interests may enjoy great profit at the expense of the principle owners whose labor and thinking created the profit. In this discussion we have used the word “interest” rather than “stock” because the ownership may be of an entity that does not issue stock, such as a limited liability company or partnership. If the ownership is in a partnership, partnership laws typically require that the partnership dissolve and be reconstituted whenever any partner leaves the partnership. (And, of course, these investors might be very unhappy to learn that their investment in a business has exposed them, as a partner, for all the business’s debts.) 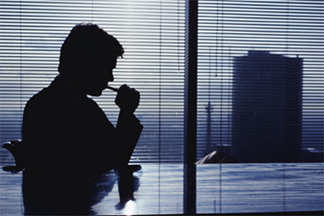 Generally speaking then, if the owners of a business intend to sell interests in the business to friendly investors, the business should take a form that protects these investors from liability and allows the principle owners relatively unfettered rights to manage the business despite the minority interests. This can be addressed in properly constituted bylaws (if corporate) or an organizational agreement (if a limited liability entity). Down the road many businesses will face transition issues. Transition issues can arise when a business is successful and the owners wish to cash in and retire, when a business proves to be marginal and the owners wish to move on, when a new generation is ready to take the helm, when it makes sense to combine forces with other businesses for greater efficiency and profitability, or for a host of other reasons. Proper structuring will simplify how transitions are managed to maximize owner gain and minimize tax consequences and to create win-win situations for buyer and seller alike. Careful planning well ahead of anticipated transitions can be used to make adjustments in business structure and the steps in the transition for the sake of these objectives. We help our clients in buying and selling businesses, in buying and selling business assets, in managing the transfer of ownership and control between generations, and in transferring interests in the business to key employees. Each of these different kinds of transactions involves a variety of considerations that we will go over in depth so that the client can chose the best formats for achieving the particular objectives sought. Our advice in this area extends to buy-sell agreements, profit sharing, employee stock options, earn-in agreements and estate planning, including wills and trusts. This note very briefly addresses business structure and how important the right framework is for the right results, subjects that deserve and in fact are properly treated at length in multi-volume treatises. It is intended as an introduction for the unsophisticated entrepreneur, providing enough information to help formulate questions to be put to the attorney and CPA who should be consulted in connection with decisionmaking. In this area a little knowledge is a very dangerous thing; virtually every consideration set forth above militating in favor of any given choice of form can be counterbalanced by other considerations not listed (to keep this note a manageable size) that indicate an opposite choice. While useful information is available on the web to head you in the right direction and afford you a sense of your choices and provide general decision-making guidance (see, for example, BPlans.com), and while it is easy enough to fill out basic forms (there are services that will do this for a few hundred dollars) doing that and no more can be as dangerous as flying a plane because you own it, before you have taken flying lessons. Professional counsel and assistance should be secured on the details of best-fit structures, governance agreements and ancillary documents, such as shareholder agreements, buy-sell agreements and succession agreements. Not to have counsel prepare such documentation often defeats the objectives and advantages underlying the selection of a particular business form. Our business lawyers provide many of these services and team with others to help entrepreneurs and businesses in Montgomery County, including Rockville, Bethesda, Potomac, Gaithersburg, Silver Spring, and Wheaton, in Prince George’s County, and in the District of Columbia, Arlington and Fairfax. Contact us to discuss your business issues and see how we can help you.